Give her a keepsake she can enjoy everywhere she goes with this key chain keepsake personalized just for her! Personalized with any title and surrounded by word-art names, this personalized key chain makes a great gift for Grandma's, Mom's, Aunt's or any lovely lady in your life. 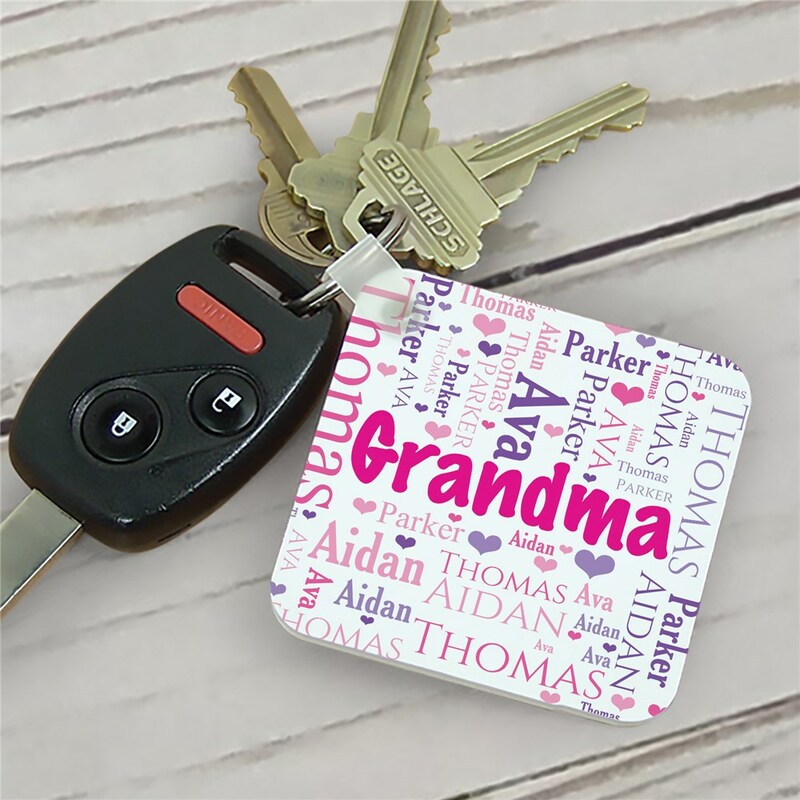 Our custom keychains make for simple yet sweet personalized gifts for Grandma! If you would like to see another rendition of your Word-Art compilation simply select the View Your Personalization button again. This will automatically create another version for review. Once you are satisfied with the design, select the Add To Cart button. This was so cute! I’m really pleased with item! This key chain is so awesome! It makes it something special having all my special babies on it.